What can we discover from putting a GoPro on a sheep? Teresa Murjas and James Rattee tell us about their unusual animal-led film and poetry project (camera work: Jess the sheep) for a new installation at the Museum of English Rural Life. One scorching hot August weekend last year, we were the fortunate guests of the Thacker family at Poswick Farm, Worcestershire. 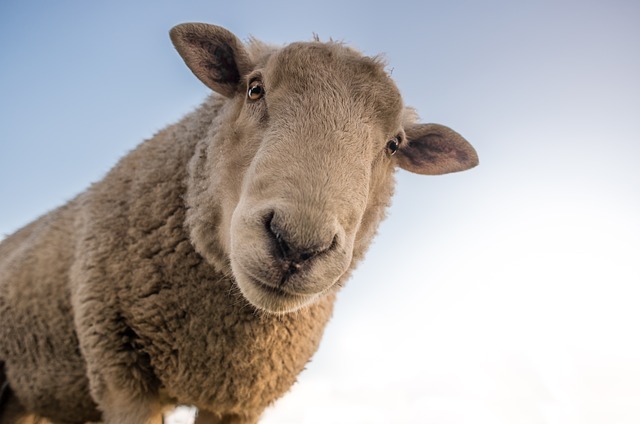 We’d been looking for a venue since the start of the year for our MERL-based creative project ‘I, Sheep’, with a very particular objective in mind: to track down a sheep that might be willing to do some filming for us. Having energetically pursued several leads, which for some unknown reason went silent, we were running out of ideas. Then Jack Thacker, MERL’s resident poet, stepped into our path. Poswick Farm has belonged to Jack’s family for generations, and following a number of exploratory conversations with him, the generous invitation was offered. 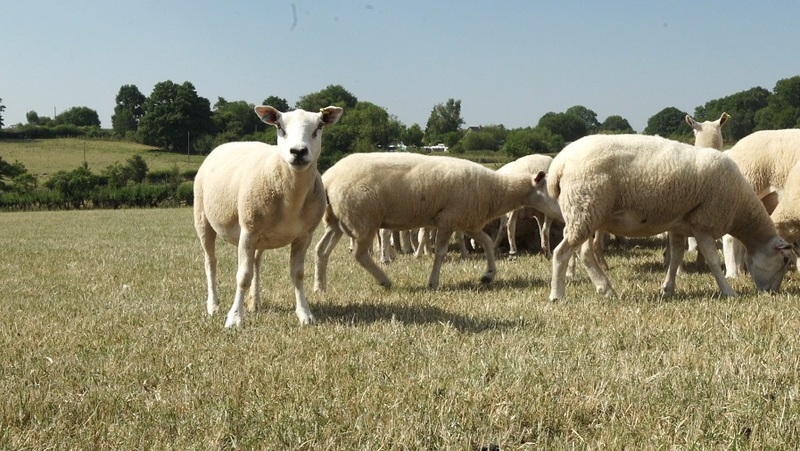 A named ewe – Jess – was identified, and our August date set. We are what you might call ‘city types’, and so we travelled from London in a cranky VW Beetle stuffed full of recording equipment; microphones, a GoPro, a drone, a Stedicam – you name it, we packed it, and it was heavy. And actually, in deepest, darkest Worcestershire, you may as well give up on your satnav as well. Ours took us to a ditch. It was OK. Thank goodness for packed lunches (especially crisps). On arrival, Jack was there to welcome us and introduce us to the place and its inhabitants. That weekend on the farm the ewes were being separated from the lambs for the first time, and so we entered into the midst of activity, noise and, sometimes, expectant silence and stillness. We immediately wanted to gain a fuller understanding of Jack’s relationship with Poswick farm. We also wanted to investigate how a sheep’s perspective or experience might be captured on film, and what the resulting footage might reveal to us. It was Jess who enabled us to realise both these objectives. ‘I, Sheep’ explores how we imagine and claim to understand what an animal is experiencing, how that might inform our relationship with that animal, and what medium of expression can be used to represent that relationship. How did Jess handle a camera? This was something we could work out only in the dynamic, lively environment of the farm, surrounded by all its residents. Together, we developed an unexpected – some might even say a poetic – solution. The reader will have to watch this space to find out more (… and you definitely shouldn’t try this at home). Teresa Murjas is Associate Professor in Theatre & Performance and James Rattee is a Film Theatre and Television PhD alumnus and film maker. ‘I, Sheep’ is currently in post-production and will culminate in a film and poetry installation work later in 2019. The project is part of the MERL’s Museum of the Intangible, which explores the potential of bringing together the things that are part of a place’s cultural heritage (for example practices, skills, objects and spaces) with creative and digital practice, to help us better understand museum collections.